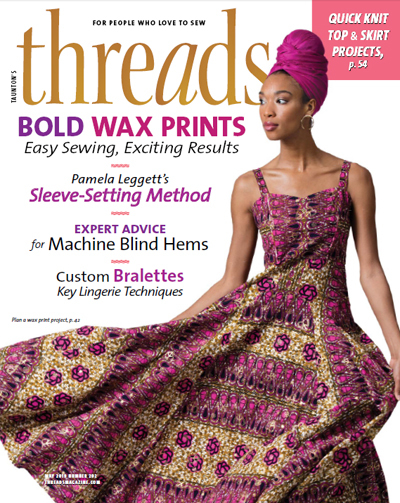 Threads - Threads is the premier magazine for sewing enthusiasts - people who are passionate about sewing garments, home furnishings, gifts, and accessories. 32 years of instruction, tips, and techniques to make you a better sewer. The Threads Magazine Archive is a tool no sewer should be without. In one amazingly easy-to-search resource — you’ll enjoy 32 years of content from America’s most trusted sewing magazine at your fingertips. That’s all 194 issues of Threads, starting with issue #1 and including all the issues from 2017. With the archive, the entire text of every issue of Threads is searchable — by keyword, author, title, subject, or full text.